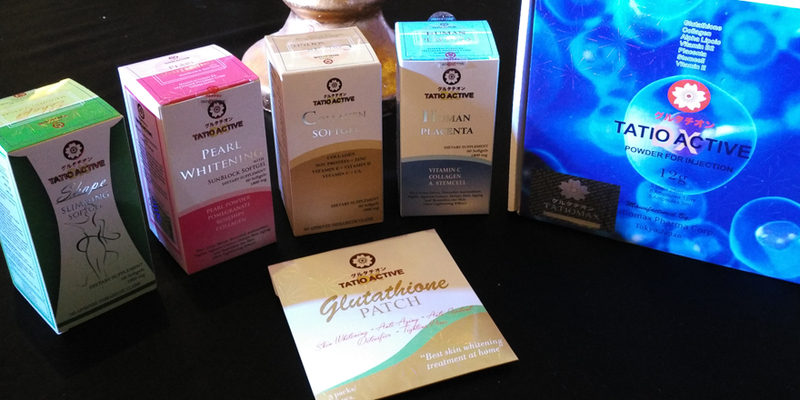 Whitening is certainly something that a lot of Filipinos include in their regimen being the typically not fair skinned race that we are and it’s great to see innovations from our very own. 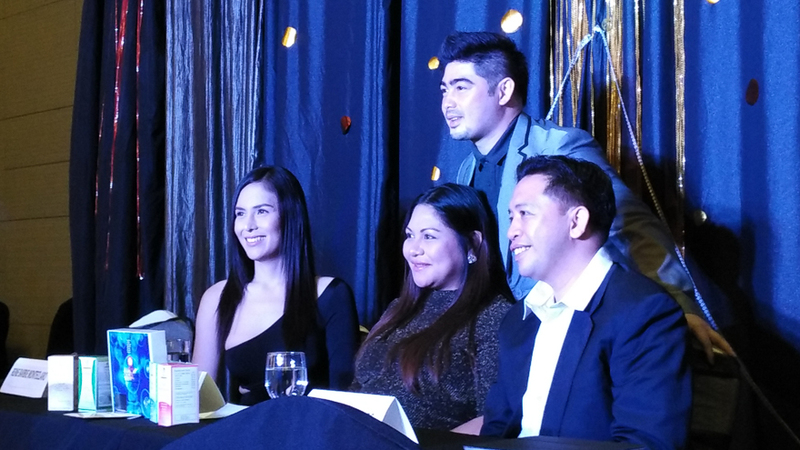 Tatiomax Pharma Corp., owned and operated by celebrity turned businessman Danilo Barrios, today released to the press their lineup of products- whitening, slimming, placentas, most everything related to the improvement of skin. 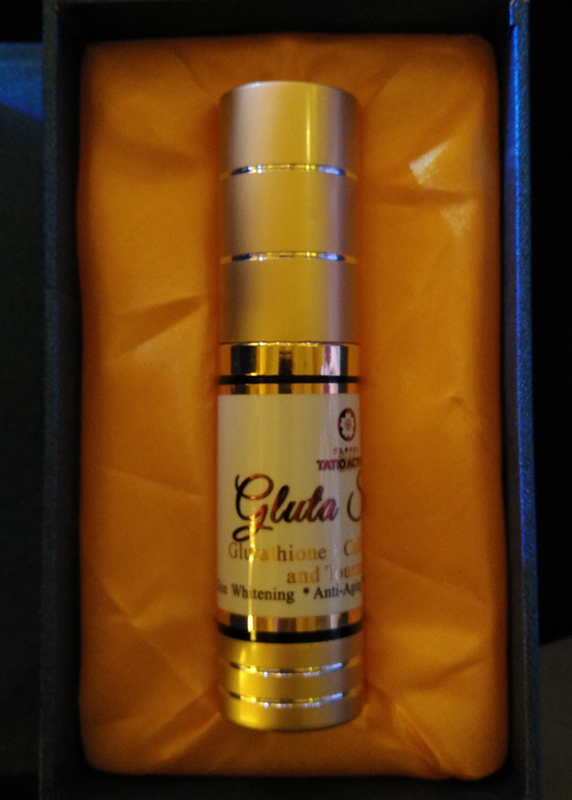 On point is their brand new Gluta Spray – a topical skin whitening, anti-aging, and anti-pimple spray. Within a nondescript box the 30ml spray unit sits golden. It’s a container that requires the user to mix 30ml of sterile water that is to be applied twice within a day, each bottle of “actives” retains its potency for up to 24 refills. Shaking the container reveals a rattling sound suggestive of some sort of pellets, probably ones that dissolve over time. On the box it says the product is manufactured by Tatiomax Pharma Corp. Tokyo, Japan – it was revealed that the “actives” do come from that country but the packaging happens somewhere else with distribution being handled locally. Reine Barbie Monteclaro, a beauty queen by all rights, has been utilizing the entire product line for a little over two years already and the result is, without a literal shadow of doubt, visible! She is poised to take over the alternative version of Miss Universe upcoming in Thailand. Its truly a comprehensive set of products and we sincerely hope that Tatiomax Pharma Corp. continues its relentless pursuit of product perfection, something heavily emphasized by the innovators.